sales, restoration, rental and appraisal for the discerning musician since 1973. We have two violin, viola, cello, bass and bow stores with repair and rehair shops. There is a shop and store in Kitchener - Waterloo and Stratford, Ontario, Canada. We are close to Guelph, Cambridge, London, Hamilton, Toronto, Mississauga, Goderich, Woodstock, Brantford, Oakville and Burlington. We also sell and repair brass and woodwind instruments, and accordions. Our stores have been supplying both Canadian and International clients with violins, violas, cellos, basses, bows and the services they require for over a quarter century. Hours: Please make an appointment for Tuesday to Friday from 10 am to 6 pm (at this location). Evenings are occasionally available as well by appointment. 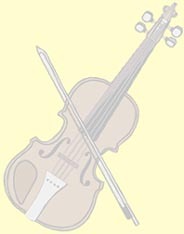 The information published on Riedstras Violin Shop Inc.s web site is provided without charge as a convenience to visitors, to be used for informational purposes only. Although Riedstras Violin Shop Inc. makes reasonable efforts to provide accurate information, there may be inadvertent technical, factual, availability, or typographical errors. Furthermore, there may be price inaccuracies due to market fluctuations and the time it takes to update the web site. Hence, Riedstras Violin Shop Inc. does not warrant the total accuracy or completeness of the prices, information, text, graphics, links, or other items contained on or accessed through Riedstras Violin Shop Incs web site, and Riedstras Violin Shop Inc. expressly disclaims liability for errors or omissions in these materials. Riedstras Violin Shop Inc. reserves the right to make changes and corrections of any sort, at any time, without notice. Please feel free to email or phone Riedstra's Violin Shop Inc. to confirm all prices, descriptions, and availability of any items listed on this web site.